Amit Gupta, 04 Jul 2014Hello Bro. yes the phone does get heats up i checked in xolo battery app and the battery tempe... morethanks for valuable support dear, but i cant go for rs 23k, And also HTC Desire 816 has low ppi(~267) than q3000, less internal memory and ram, which is not acceptable for me. nd m gonna buy it. its good but not bed ..overall all good . AnonD-22569, 03 Jul 2014Hi again dear thanks for support. Tell me one thing that about maximum degree the phone goes t... moreHello Bro. yes the phone does get heats up i checked in xolo battery app and the battery temperature rose to 40 degrees. Graphic intensive games does makes its temperature rise a lot. but still its manageable. i guess its huge LCD adds on to the heating procedure. 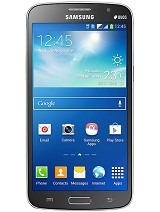 I would suggest you can give this phone a certain go over your Note N7000. But if you want to use a phone that does not gets heated up and you don't play very heavy games like me then you can try out HTC Desire 816. It costs around 23000 and currently there is a shortage of that phone in market. But yes that phone is certainly worthwhile going for. but then that doesn't have a full hd screen. So i would suggest you to list out what exactly you are looking for in your new phone and take decision accordingly. 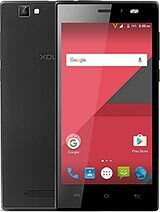 I would definitely recommend both Xolo Q3000 if you want a gem of a screen or HTC Desire 816 if you are looking for elegancy with style. I hope you will be more clear as to which phone you want to be the replacement of your Note. If you are comfortable with single sim phone then Note 3 Neo is an awesome phone but then you won't feel much of a difference. I saw a beautiful phone of Gionee too. 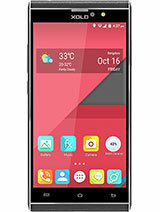 I would suggest you to go to any good mobile shop and have a look at Gionee phones. They are marvelous too. Xolo has aldy provided 4.4 updates to xolo q1010 and q1010i. Xolo Q3000 was also in the list of xolo for this update but still no info ? 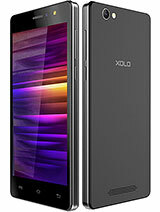 Has any one some information when we can expect update in xolo q3000? Amit Gupta, 03 Jul 2014Hello Bro. I believe 3G internet if runs contiously on any phone makes them heated up. My S3 u... moreHi again dear thanks for support. Tell me one thing that about maximum degree the phone goes to heat up, and does it significantly affect the backup of the phone. And also is this a better idea to sell my note n7000 for this phone. baba, 03 Jul 2014provide me price xolo q3000Bro i bought it for 17000 from a local vendor in bangalore. As we all know that mobile phones gets sold at different prices at different places so its upto the buyer and seller as to where the deal settles. I think any price between 16000 to 17000 is acceptable for this device. I hope that answers your query. One more thing for those junkies which might reject it for lack of NFC. when i recently bought this phone i was going through internet to find out ways to increase data transfer speed. I found a brilliant software called ShareIt developed by Lenovo. its available for free at google play store. I have sent you my mobile number through your specified mail id. you can anytime come and have a look at the phone so that you will be able to decide better whether to buy it or not. 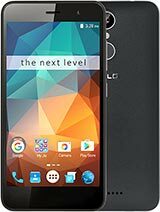 To me its a wise decision that i switched on to Xolo Q3000. I completely love its performance. AnonD-22569, 02 Jul 2014Hi bro u mentioned that phone gets tremendously heated up in any kind of gaming when 3G intern... moreHello Bro. I believe 3G internet if runs contiously on any phone makes them heated up. My S3 use to get really hot when i used to chat on it for hours. With WIFI i didn't noticed this issue but yes the phone still has a pretty big screen and rich on pixels so do expect a bit of heat up when you watch Full HD videos. But certainly its one of the best phones available at this price range. HD Games heats up all the phones so don't worry about it getting heated up while playing hd games. But yes the phone does gets heat up a bit more then those 4" or 5" phones. But nothing to worry about. I guise I am planning to buy it. But I am confused about the heating problem on that phone , I have selled my Sony xperia v because of heating problem and very poor battery backup. Could any user suggests me related to these problems please help me. And is this a better idea to sell my note n7000 for this phone. Hello Guys i recently bought this device a week ago from a local seller in bangalore. i was a samsung s3 user from two years which recently had screen issues so i decided to change it for xolo q3000 and pay balance in cash. Device build quality is way way way better then my s3. camera clearity is same as s3. although this one says 13MP and s3 had 8mp. front camera i have to say is way better then s3. Screen clarity is good as 388PPI density is pretty decent for a humongous screen like this but yes colors don't glitter that great as it was in my s3 super amoled screen. but all in all screen is awesome. Accessories section is where most of indian brand does not want to concentrate. Xolo made sure it continue this tradition. head phone are horrible. cover provided with box is of no use. scratch guard is of no use, i had to buy a new one immediately. but these things aren't a deal breaker as the phone is superb and value for money. I do notice a thing that phone gets tremendously heated up in any kind of gaming when 3G internet is running. may be my device has this issue but still manageable. one thing i didn't liked is app memory which is just 1081 mb usable. i mean what's the use of giving 16 gb memory of which 12 gb is spared for consumers use. then why not give a good proportion of it for apps. anyways games and apps can be moved to sd card but some apps remain in phone memory only so it can become a problem if u install too many apps. wish they gave at least 3 gb for apps. 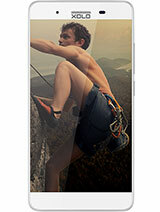 All in All i will say that it is a good phone with few weaknesses and lots of strength. Definitely worth buying and using for at least one and half year. Anonymous, 01 Jul 2014 Reset and it shld resolve your issues.Do you mean by factory reset? Apart from that I tried every thing. I send mail to XOLO service center but no respose from them. 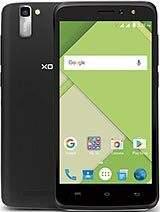 Durgeshmaheshwari, 19 May 2014http://gadgets.ndtv.com/mobiles/news/xolo-confirms-android-44-kitkat-update-for-q700s-q1010i-q... moreIs there any magnetic flip cover available to q3000 model, other than the one provided in the box, which is substandard. Urgent reply pls...pls. Reset and it shld resolve your issues.